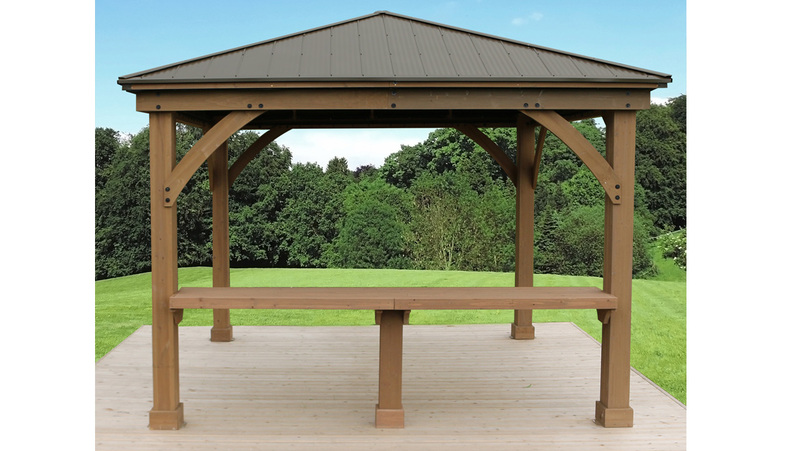 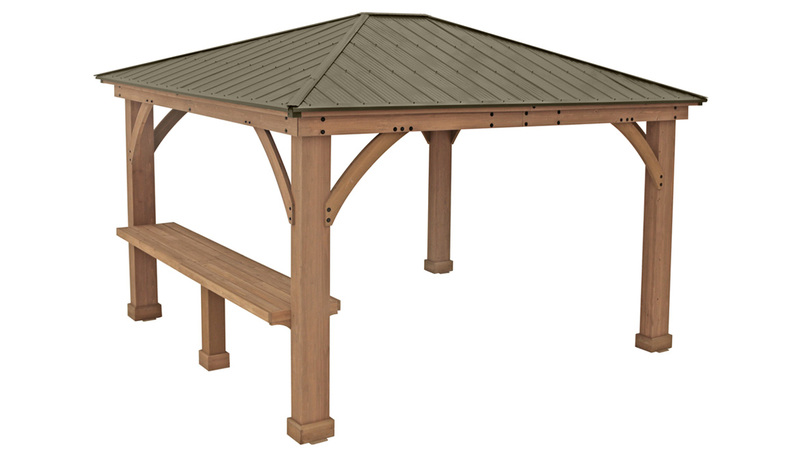 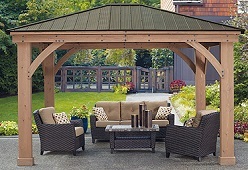 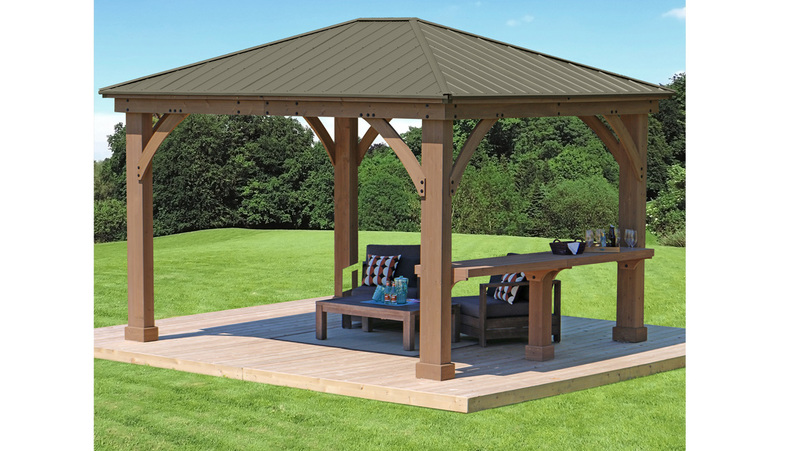 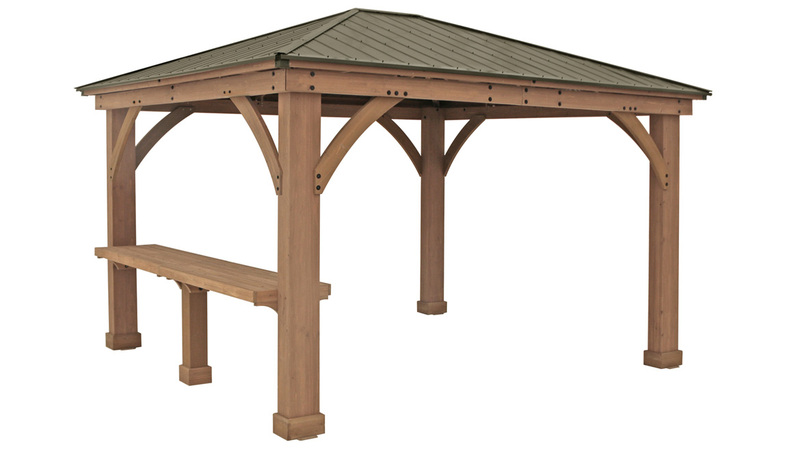 Yardistry's Wood Counter is the perfect addition to your existing 12 x 12 or 12 x 14 Wood Gazebo with Aluminum Roof by Yardisty. 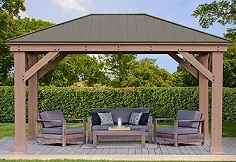 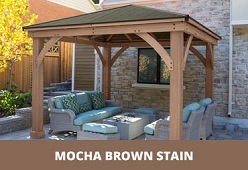 The 100% FSC Certified Cedar Lumber is finished in our Mocha brown stain to match your existing Yardistry Gazebo and bring a warmth and distinctive feel to your yard. 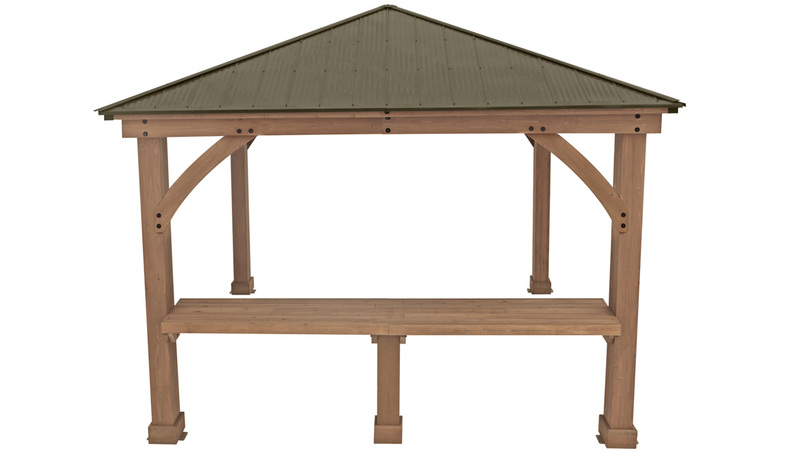 Measuring 9 ft. 8in. 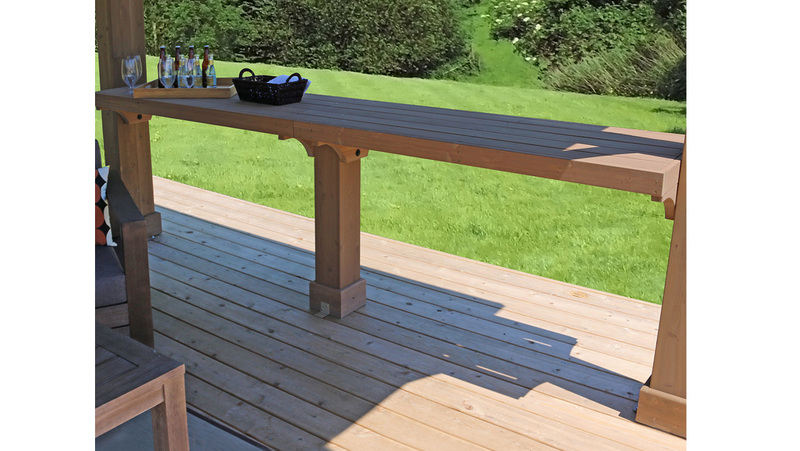 wide and 37 3/4 in. 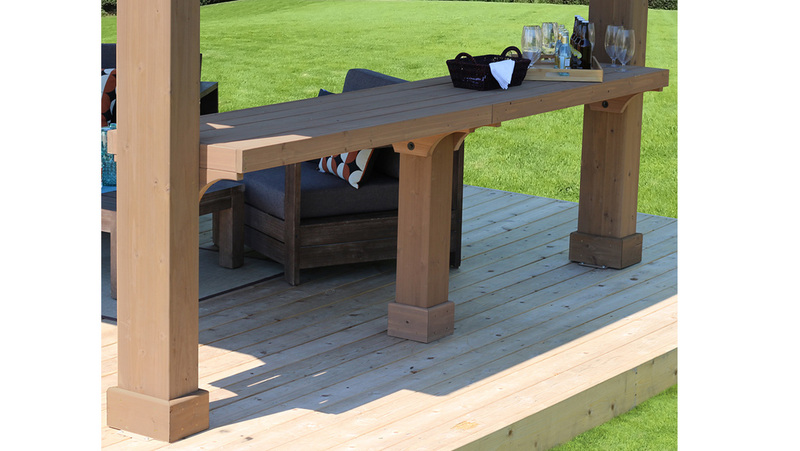 tall the Counter is designed to easily fit into the opening on the 12' Wall of our Gazebos.